With Apperson Strings' years of experience and extensive repertoire, you can rest assured that the music at your special occasion will be first class. From chamber ensembles to full orchestras, we pride ourselves in providing clients with the very best, conservatory/university trained, professional performers. And because we are not a large agency, you deal directly with the musicians who will be doing the performing, enabling you to be a part of the process. 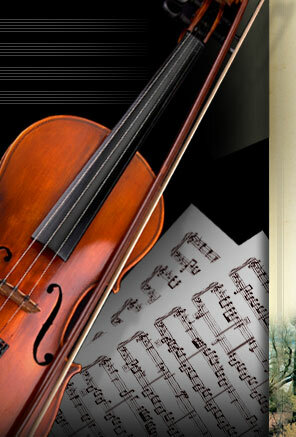 Our repertoire includes a variety of music and styles appropriate for concert settings or background music. We can provide high quality music in small or large ensembles - string quartets, trios, duos, and solos. We play classical, pop, folk, Broadway tunes, and even some alternative/rock music. We can add flute, guitar, trumpet, or vocals to provide you with whatever instrumentation you may need.